David Lingard, one of the UK's first ever Mathematics and Computing graduates, looks back at his Northampton Square beginnings. In 1958, when David Lingard embarked on a Diploma in Advanced Technology (Dip Tech) at City University London's predecessor, the Northampton College of Advanced Technology (NCAT), he had no idea his professional life would morph into so many fascinating directions. "The Dip Tech was a four-year sandwich course: six months at College, six months in industry during each year. Everyone on the course had to be sponsored by a company. For me, it was Thomas Hedley & Co. in Newcastle, which, two years after I began studying, was taken over by the American company, Procter & Gamble." "During my time at NCAT, the College 'officially' became part of the University of London and my course became a BSc Mathematics and Computing (Hons) course. I ended up with two 'degree' certificates, a Dip Tech and a BSc from the University of London". Computers and the study of computer science were still in their very early stages. What was it like studying as one of the first students on a computing course in the United Kingdom, using computing machines that would appear gargantuan by today's standards? "Our class was made up of two women and eight men. The computing side was run by Mr Michael Girling and the head of Mathematics was Dr Alfred Geary. 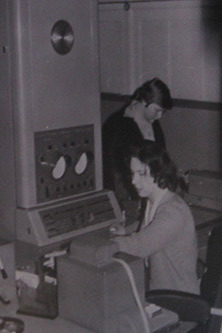 Computing was done using a Ferranti Pegasus machine which would have filled the entire ground floor of my present home. This machine used paper tape and punched card input." "In Year One and Two we were required to take courses in 'Liberal Studies'. This was quite ground-breaking at the time. The idea was to try and ensure that your higher education wasn't too narrowly focussed. There were several options to choose from. I loved it and selected "Literature & Drama". The backstory to this is that while I was in secondary school I had to make a very difficult decision at A Level between taking Maths or English. I wanted to do both but the school wouldn't allow it. At NCAT we studied all the 'Angry young men' of the time (Joe Orton, John Osborne, Arnold Wesker, et al) and several other modern writers. All of the Year One and Year Two students did Liberal Studies and we were in very mixed groups. I recall that there were a number of Optics students in my group." 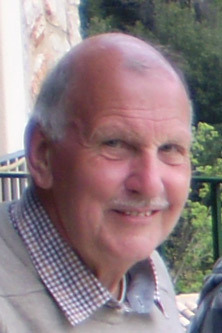 55 years after embarking on his studies in Mathematics and Computing, David Lingard is now employed on a voluntary basis with Oxfam GB as a member of the charity's governance team. He can look back at a full and rounded life, influenced by his student days at City's precursor, the Northampton College of Advanced Technology.